Cheers! Grab this super comfy tank for yourself or for that one friend who can't get enough of the bubbly. 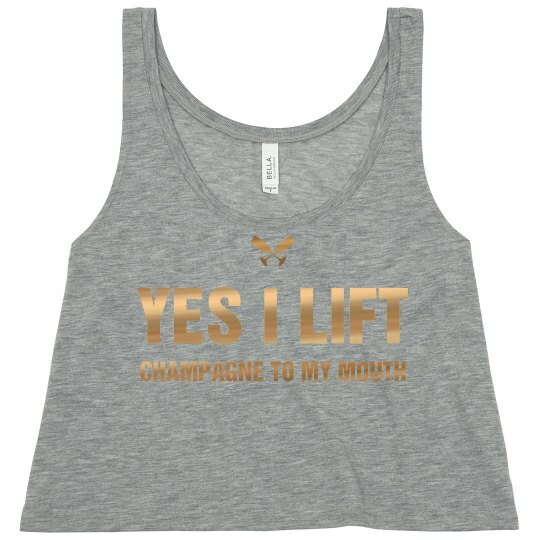 This hilarious "yes I lift...champagne in to my mouth" top is the perfect addition to anyone's closet.